“Philosophy patrols the borders between sense and nonsense; science determines what is empirically true and what is empirically false. What falsehood is for science, nonsense is for philosophy. Perhaps it’s nothing more than the Baader-Meinhof phenomenon, but it seems that there are increasingly more in the physiotherapy world who are becoming interested in philosophy. Equally, there are those who criticise and dismiss philosophy and its big words as being irrelevant to the clinic. I’ve seen members of the latter suggest that members of the former might not have the intellectual wherewithal to understand the musings of great philosophical thinkers. But, maybe, just maybe, we need a bit of philosophy – a bit of Merleau-Ponty with your Maitland, if you will. “Our own body is in the world as the heart is in the organism: it keeps the visible spectacle constantly alive, it breathes life into it and sustains it inwardly, and with it forms a system. Sit or Squat – who gives a crap? Tangentially, Australia has quite a few eminent philosophers (as I’m sure you know), probably better known on the world stage than at home. I can’t help but reflect on this during the five ringed circus and the associated worship of physical prowess. Tim, my neighbour made much the same comment: “Everyone in Australia will by now know a lot about Kyle Chalmers the young swimmer but few will have ever heard of David Chalmers the philosopher. Hear, hear!! “get out of our own arses and just be human and caring for oneself and others” is a beuatiful philosophy, one that Montaigne would fully endorse, I’m sure. In such an approach, then, perception is not simply embedded within and constrained by the surrounding world; it also contributes to the enactment of this surrounding world. Thus, as Merleau-Ponty notes, the organism both initiates and is shaped by the environment. Merleau-Ponty clearly recognized, then, that we must see the organism and environment as bound together in reciprocal specification and selection. Reference: Varela FJ, Thompson E, Rosch E. The Embodied Mind: Cognitive Science and Human Experience. Cambridge, Massachusetts: The MIT Press, 1991: 147-184. Philosophy is intuitive, heuristic. Clinical science is ‘stats’. And never the twain shall meet…….except perhaps in the work of Gerd Gigerenzer of the Max Planck Institute…..link https://en.wikipedia.org/wiki/Gerd_Gigerenzer. He uses statistical analysis to prove that , more often than not, intuitive and heuristic solutions are more reliable than anything ‘easily misinterpreted’ stats can offer up. His main theme, Medical Risk Assessments, should be of interest to all clinicians. Some interesting lectures by him on Youtube. Tim, Wonderful. I wrote “The Phenomenal Perspective” many years ago and have long been accused of being “too philosophical” in my writing. Still, I can’t help but wonder about the brain’s activity and that is reflected in the latest Sunday series of my blog. To me, what is actually happening is often hidden from us. Philosophers often speak of what it might be. Thanks Barrett. You’ve articulated nicely something that I failed to do in my scratchings above – the notion of philosophy as a way of thinking, as a collection of thinking tools, rather than a body of knowledge, in and of itself. I am not aware of anyone else but me arguing that the recent interest in philosophy by PTs is impractical. Just to be clear, I have never stated this has something to do with PTs lacking “intellectual wherewithal.” On the contrary, it seems that some of the brightest people are attracted to philosophy. But the problem remains that philosophy is totally unsettled on many issues. Anything we might learn from one philosopher will very likely be contradicted by another. Without significant expertise in philosophy, there is no basis to choose between them except our own whims and biases. As you know, Hacker’s ideas are vigorously contested by other philosophers like Dennett, as well as many mainstream neuroscientists who are well versed in these issues. Claiming that philosophy is against the idea that “brains think” is just cherry picking, and probably a minority view at that. In any event, whichever philosopher you prefer, I see little practical import. How would a fan of Dennett practice differently than a fan of Hacker except in how they talk on FB? In my opinion, clinicians are best advised not to wade into the swamp known as “theory of consciousness”. But many of us can benefit from an excursion or two into the brach of philosophy known as “epistemology” – the theory of knowledge, especially with regard to its methods, validity, and scope, and the distinction between justified belief and opinion. On this point I beg to differ – I think clinicians are already wading through the swamp that is the theory of consciousness/mind (pain) already, they just don’t know it (this is not an original idea – it is a point made by many a philosopher when they hear neuroscientists dismiss any advantage of reading philosophy). Perhaps dipping into the vast ocean of literature on the topic might just provide the beginnings of a map! Granted, a graded approach might be beneficial – I would suggest starting with Noë (his more public facing work at least) before attempting Merleau-Ponty. Difficult to respond to the first bit as I don’t know who you are, but i can’t help but think of Carly Simon’s famous lyrics “I’ll bet you think this blog is about you”… 😉. On your other points, I don’t think the lack of definitive agreement within philosophy is a problem, but rather a strength. Different view points encourage thinking and can raise doubt in one’s own ideas and convictions. Perhaps the thing to learn from philosophy is not so much a collection of facts that all can agree on, but different ways of thinking. The statements “Without significant expertise in philosophy, there is no basis to choose between them except our own whims and biases.” and “Claiming that philosophy is against the idea that “brains think” is just cherry picking, and probably a minority view at that” seem to be in complete opposition to each other and I can’t reconcile either. Claiming that “As you know, Hacker’s ideas are vigorously contested by other philosophers like Dennett, as well as many mainstream neuroscientists who are well versed in these issues.” is at the same time an appeal to authority and an ‘argumentum ad populum’. Neither makes Hacker’s ideas wrong, but at the same time I’m not arguing that Hacker is ‘right’ – but I do think his ideas make a useful contribution to the discussion. I don’t know how a therapist with sympathies for Dennet’s perspective might behave differently in the clinic – although I would argue that if a therapist has actually bothered to read Dennett, or any other philosopher, it may suggest something greater about their overall approach to life long learning and critical thinking, for a start. I would hope that any clinician who has read anything from Hacker might take seriously his suggestion that “rather than nodding your head and saying, “How interesting! What an important discovery!”, you should pause to wonder what this means. What, you might then ask, is a thoughtful brain, and what is a thoughtless one?” This could be followed a clinician asking any number of other questions, particularly about the brain and pain, and may just stop them blurting out a solitary statement such as “pain is in your brain” and thinking that their work is done. I can only try to explain what Merleau-Ponty’s words mean to me, anything more would be hubris of the greatest kind. But first, I have read the book (at least Phenomenology of Perception) and don’t claim to understand all (much)of it, but his writing challenged me, made me think, made me think in different ways and was beautiful in its own right. Personally, I would suggest that anyone interested in Merleau-Ponty start with the secondary literature first. For me, Merleau-Ponty’s words suggest that our bodies are not passive receivers of environmental stimuli – a mere vehicle to carry around some kind of thinking ‘self’ – but rather an active part of a system that includes a human (an embodied subject) and the world. How we perceive and understand the world is therefore dependent on the kinds of bodies we have and how we use them – the dichotomy of perceiving/acting in the world breaks down and perception becomes a kind of human activity – “breathing life into the world”. This way of thinking is the very antithesis to the ‘body as an object’ thinking that was deeply implicit in my training as a physiotherapist. Might this change the way a clinician operates? Maybe. Just maybe a clinician might be less inclined to prod and push on a body-object thinking that they are doing ‘treatment’ and engage with the human in front of them. Just maybe a clinician might be less inclined to prescribe complicated rituals of muscle activation and explore, with the patient, opportunities for rich exploration of movement in the world. If this is already obvious, then more power to you. If this is trivial, then I can find no common ground on which to continue. But for now, my apologies to dear old Maurice who must be having conniptions in his grave at my amateur, faltering attempts to give meaning to his words. Lovely to see your words “engage with the human in front of them”. Is this not what we are all striving for on our individual personal and interpersonal self ebucational paths. There is no “degree” that will make us better practitioners other than the eternal “degree of life”. Isn’t it somewhat dualistic behaviour to put these subjects into different camps? When Andy Murray returns a serve coming at him at 150 mph he doesn’t start to break down his response into different compartments of his knowledge and skill. He spontaneously reacts and returns a perfect shot. That action has taken him his whole life to execute. Hour upon hour of gathering the knowledge he needs to respond with brain and body alike. Are we not the same? I would like to believe that anyone visiting this site is a serial reader and an ardent thinker. Each choosing the material that interests them and helps them be who “they want to be, and who they are”. When engaging with a patient, two people are being who they are and trying to understand who the other might be. Trying to imagine their thoughts feelings and emotions. Only a variety of past learning and experience can help us understand that which we think we are experiencing in ourselves and from the other. In that moment, just like Andy we should be responding too and not thinking about our patient. Is that not what philosophers are trying to say in a rather complicated way? Anything less would be judgemental…..
Reference: Ruthrof H. Language and Imaginability. Newcastle upon Tyne: Cambridge Scholars Publishing, 2014. Tim, Wonderful response. Dennett himself has said, “Pain is the result of plans thwarted and hopes dashed.” That is well within the bounds of my thinking. In the US “cherry picking” has become a pejorative term. Better to point out something more specific. Todd Hargrove here. I was the author of the above comment above from “admin.” I posted hastily so didn’t notice I failed to identify myself. I also failed to ensure I didn’t sound rude. Sorry about that! Thanks for the detailed response. Well played on the Carly Simon quote. :) I did indeed think this song was about me, in part at least. If it wasn’t, please let me know the real offender so I can read their comments. Warren Beatty? I agree that reading philosophy is an interesting, mind-expanding activity. But so is reading poetry, history, movies, math, traveling, doing charity work, meeting different people, meditating, having children, reading research, etc. If your point is that PTs would benefit from reading philosophy because it improves general thinking skills (like these other activities) – then I have no problem with that. But if you are saying that reading philosophy is likely to provide specific answers about how to treat pain that are not available in the pain science literature, then I would disagree. I think your response about Merleau-Ponty proves my point. You are highly intelligent and very well read, have a strong interest in his work, have read many similar books and background material, and still cannot say with confidence that you understand very much of his book. How can something have clinical relevance if you don’t understand it? 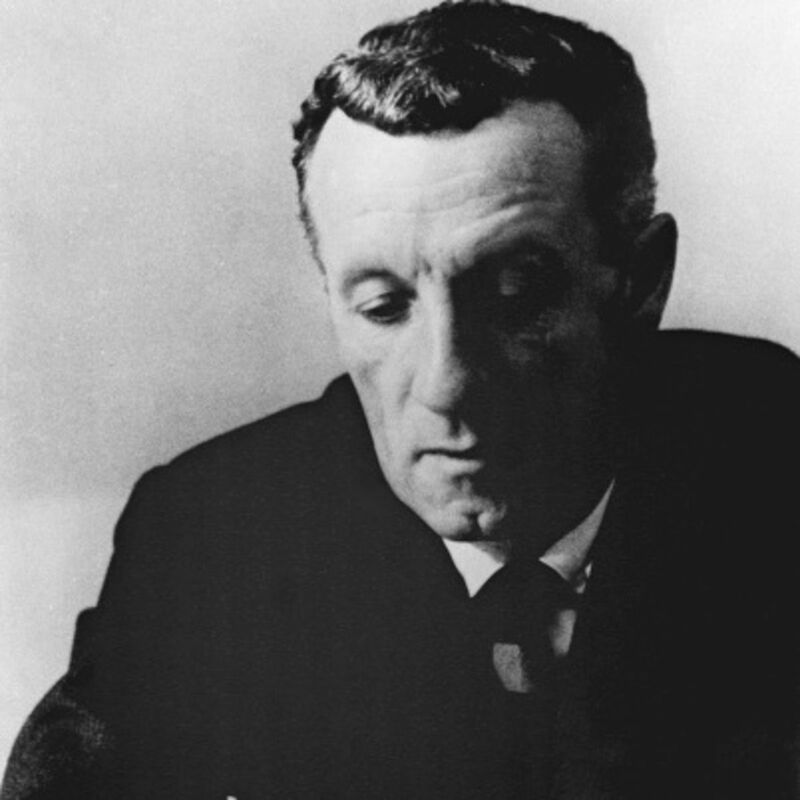 As to your interpretation of the specific Merleau-Ponty quote – is that really what it means? I would imagine ten different therapists would give ten different answers (and that most would say they have no idea what it means.) The language is so obscure you can read it almost however you want. How would a Reiki practitioner or a faith healer read it? Doubtless they could find justification for implausible treatments. Obscure writing on an esoteric subject is not a good guide for a clinician, and can easily have bad consequences. For example, postmodern philosophy is notorious for inspiring relativism and hostility to science. Further, I think your interpretation of the quote states facts that are indeed trivial. Everyone knows that bodies are human, that they are not mere objects, that they act and perceive, and that perception is affected by movement. We already know this, and restating it in fancy language does not lead to clinical insight. Sorry for the lengthy post and thanks for the conversation. I don’t think there is anything I can say to change your mind, and it appears that I’ve also proved your point, and that is all ok with me. But I can’t agree that it is trivially known that humans, especially humans who are ill or are hurting, are body-subjects and not just objects. I would challenge you to find any paper that looked at the phenomenological experience of a person experiencing illness and navigating a health care system that doesn’t reveal themes of people feeling like they were ‘treated as objects’. Todd, Warren Beatty is a great guess, but I always heard it was Mick Jagger. Maybe both? Carly dated a lot of people. She even married one of them. Just to end the ‘You’re So Vain’ debate for once and for all. Jagger sang the backing harmonies on the record, and the lyrics were aimed at Beatty. However, Jagger is the link because he had affairs with everyone involved….possibly even himself ! Barrett, guess who wrote this little gem? “A single proposition isn’t a theory, it’s a slogan; and what some philosophers do isn’t theorizing, it’s slogan-honing.” If you guessed it was the same author who wrote “Pain is the result of plans thwarted and hopes dashed” you would be spot on! I agree that patients are often treated poorly by the medical system, and that this makes them feel dehumanized. But this has nothing to do with a doctor’s conceptual failure to understand a client is human, or that their feelings and subjective symptoms matter. It has to do with a lack of empathy, structural problems in the healthcare system, the economy, and many other things, but not a lack of philosophical understanding about whether humans have feelings. How do you know that? And how do you know that with such certainty? Here’s a thought – what do you get when you begin to carefully examine the underlying factors leading to lack of empathy, structural problems in the healthcare system, the economy and many other things? – you get philosophy. “The unexamined life is not worth living” so said Socrates while on trial for impiety and corrupting the youth. A fundamental tenet of Western biomedicine is the validation of a patient’s predicament by the clinician through demonstration of a disease process underlying illness. For the person experiencing chronic pain, however, the absence of demonstrable pathophysiological evidence of disease is a challenge to the clinician’s ability to discharge that role. What may not have been appreciated is that the reverse situation can also hold true, insofar as the patient cannot validate the clinician as possessing sufficient knowledge and expertise to relieve their pain. In an effort to understand and remediate this impasse, this chapter explores the dynamics of the clinical encounter through the lens of the French sociologist Pierre Bourdieu, and examines the effects on the players when dealing with the aporia of pain. Then, in the novel approach of reframing the field of the clinical encounter through considerations of intersubjectivity, empathy and prospection, ethical possibilities for clinician and patient to achieve mutual validation of their predicaments are canvassed. I think we can be certain that doctors understand their patients are human and have feelings. Do you actually deny that? And do you disagree that part of the reason patients feel dehumanized by modern healthcare is that doctors often don’t show enough empathy, or that structural and economic issues prevent individualized and adequate treatment? This also seems completely obvious. Does analyzing these problems constitute “philosophy”? I don’t think that’s the right word, unless you define philosophy very broadly to mean thinking clearly about problems using reason as your guide. Obviously I am in favor of clear thinking and reason, and yes self-examination is great too. But clinicians are not likely to help fix modern healthcare problems by reading Socrates or Kant. Of course there could be some indirect benefit, just as there could be from reading poetry or meditating. Far more direct benefit comes from reading science directly related to practice, from writers like Moseley, Melzack, or Gifford. Philosophy is cool, I like it, it informs all these sciences, and can inspire creative thinking. But the signal to noise ratio is extremely low in regard to solving real world practical problems, especially in comparison to sciences specifically designed to address them. Have you ever been witness to medical rounds in a hospital? Ever seen a consultant breeze in followed by a gaggle of junior/training doctors, interrupt a therapy session and spend 5 minutes talking *about* the bewildered person lying in the bed, determine that all is going well with a glance, ask the individual if they have any queries, and depart before they can ask? My most memorable experience of this involved an orthopaedic surgeon regaling his audience (which didn’t include the patient) with a story about one of his previous patients who had received a similar hip replacement, and being mightily impressed with the outcome (and by implication the surgeons work of course), had purchased two hip protheses, had them welded together, and then mounted on their Rolls Royce. I’m pretty certain that the woman lying in the hospital bed while this occurred around her had never ever set foot in a Roller. So yes, I would claim that in many instances health care professionals (not just doctors) forget entirely that their patients are not just objects. You only have to spend some time in the nurses station of a busy hospital to hear nurses and health care providers talking about “the total hip in bed 7” or “the laparotomy in bed 2” to have this reinforced. I’m not sure what health training you have undertaken, perhaps these examples are just not part of your experience? Once again you make two declarative statements that I can’t reconcile. On the one hand you state “I think we can be certain that doctors understand their patients are human and have feelings”, and on the other “part of the reason patients feel dehumanized by modern healthcare is that doctors often don’t show enough empathy”. If the set of doctors that you refer to in both of these statements is indeed the same, then it seems to me that the former statement is rendered necessarily false by the latter. How can you have it both ways? Philosophy has a number of definitions, one is “a discipline comprising as its core logic, ethics, metaphysics, and epistemology” which is probably just a fancy way of saying thinking clearly about problems such as what we know, how we know it, and how we can know, using reason, clear thinking and self examination. I particularly like the notion of philosophy as a discipline as it highlights the rigour of ‘doing’ philosophy. Other definitions of philosophy, pertinent here, are “a theory underlying or regarding a sphere of activity or thought” and “the most basic beliefs, concepts, and attitudes of an individual or group”. It is in this sense that I could ask what *is* your philosophy (a question that often elicits blank stares – we all have a philosophy, it’s just that many people have never stopped to examine what it might be). Based on these definitions, I would posit that it just is the case that philosophy is needed to fix modern healthcare problems – both through the process of health care providers, regulators, administrators and legislators deeply examining their philosophies, and by the process of logical, careful, reasoned thought. How else will things change? Along they way an increase in interest in such branches of philosophy such as phenomenology will lead to expanded ways of doing science. Again, see the reference to Havi Carel in an earlier comment. I’m glad you mentioned both Socrates and Kant. Socrates’ dialogue with Plato’s brother Glaucon on the Allegory of the Cave in Plato’s ‘The Republic’ is both highly instructive, and practical, for clinicians and I’ve written about that just recently on NOIjam. Kant will take a little more work but just consider his distinction between analytic and synthetic judgements. The classic example of an analytic a priori is “All bachelors are unmarried”, analytic in a Kantian sense because the concept ‘bachelor’ contains the concept ‘unmarried’. Consider then the similar statements “all patients are ill” or “all patients are sick” or “all patients have a disease”. These are just crying out for a project of Kantian synthetic/analytic a priori/a posteriori examination!! Finally, I’m also glad that you mentioned Moseley, Melzack and Gifford. All three have been influenced by philosophy and various philosophies in numerous ways. I know this through direct knowledge with two of them, and Melzack’s most famous paper is highly abstract and philosophical. What is the “sentient neural hub” if not Melzack planting his flag in the philosophy of mind landscape (as a material reductionist), and yet, in Melzack’s own words his ideas have “important implications for research and therapy”. Don’t take my word for it, listen to Dr Damon Horowitz, In-House Philosopher and Director of Engineering at Google (no less) explain why you should “Quit Your Technology Job and Get a Humanities Ph.D.” -https://youtu.be/9DBt9mVdgnI. Hi Todd. Thanks for the congrats. In response to your guesses, I can tell you that in our chapter we draw upon the work of Michael Bakhtin, who wrote so eloquently about the important difference between monologic and dialogic discourse. Reference: Bakhtin M (1963) Problems of Dostoyevsky’s Poetics. Moscow: Khudozhestvennaja literatura. English edition: Emerson C (1984) Minneapolis: University of Minnesota Press, Minnesota. I posted a reply to your last comment above about a week ago and just noticed it did not appear in the thread. Would you mind checking to see if it is lingering in unapproved cyberspace? Thanks.